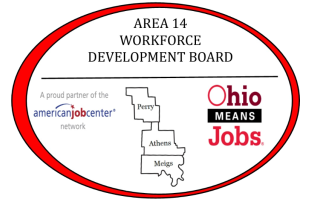 The Area 14 Workforce Development Board is comprised of 19 board members from Athens, Meigs and Perry counties with a shared commitment to providing a high-quality and responsibly managed workforce development system. The Board procures, monitors and assists local providers of workforce development services to align the human resources in our area with the needs of employers. 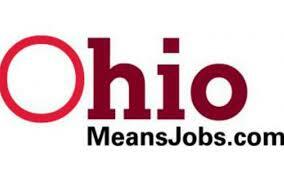 Area 14 is one of twenty local workforce areas in the state of Ohio, consisting of Athens, Meigs and Perry counties. The Area 14 Workforce Development Board (WDB) is the representative group that is part of the Public Workforce System, a network of federal, state, and local offices that support economic expansion and develop the talent of the nation’s workforce. Our WDB serves as a connector between the U.S. Department of Labor, state office of Ohio Job and Family Services and the three Ohio Means Jobs Centers in our area that deliver services to workers and employers. Our role is to develop regional strategic plans and set funding priorities for this system. Our goals are to facilitate partnerships between local businesses with similar training needs, rely on labor market information to develop sector strategies that focus resources on a particular high growth industry for this area, and to provide the required tools for job-seekers to succeed. We work closely with each Board of County Commissioners in the member counties to effectively procure and facilitate workforce development services. More than 50 percent of our board comes from the business community. In addition, our board enjoys representation from organized labor, workforce development, education, and vocational rehabilitation. This ensures that current skill needs of local businesses are communicated to relevant training programs. The Director of the Board acts as administrative agent for the board and provides support to carry out the directives of the members. Perry County Department of Job and Family Services acts as the fiscal agent for the board.